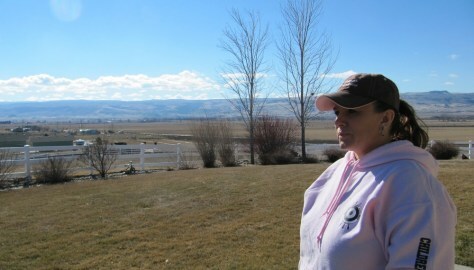 Marsing resident Shari Kinney talks about a neighbor she knew as Jay Shaw on Wednesday. Federal agents caught up with the fugitive who is wanted for trying to kill a New England mob boss more than a decade ago. Enrico M. Ponzo, 42, was arrested on Monday at his rural Idaho home.